A natural and comfortable posture is essential for cycling, which is why our Trek WSD models also boast WSD components like stems and seatposts that are spec’d and sized to fit perfectly and complement the bicycle’s fine fit. 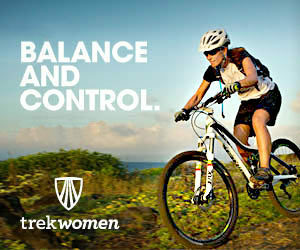 There are Trek WSD bikes designed for the elite-level racer, the enthusiast road rider, the commuter and the casual rider. You’ll find bikes in the middle too for multiple types of riding and budgets. So whether you’re a weekend warrior or just enjoy pedaling around the park, we’ll gladly help you find the WSD bike that’s perfect for you. Making sure your bike fits properly and that you have a seat that’s comfortable make all the difference for enjoying cycling. 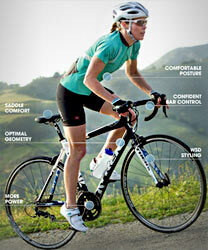 A natural and comfortable fit allows you to ride longer, safer and more efficiently. 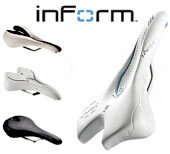 Of course, if you buy a new bicycle we’ll make sure you’re on the right size bike and a comfy seat from the start. However, if you’re fitting an older bike, we encourage you to come into the shop for a proper fitting. If you can’t do that, we recommend considering a WSD saddle as a way to improve on a lesser model. We carry a selection of WSD helmets, too. If you haven’t tried on a new bike helmet in a while we’re sure you’ll be impressed with how stylish, light and nicely ventilated the new lids are. A lot of riders tell us they hardly know they even have them on! Make sure you wear your helmet properly. And if you have any questions on helmet fit, come by the shop and we’ll be happy to help you.